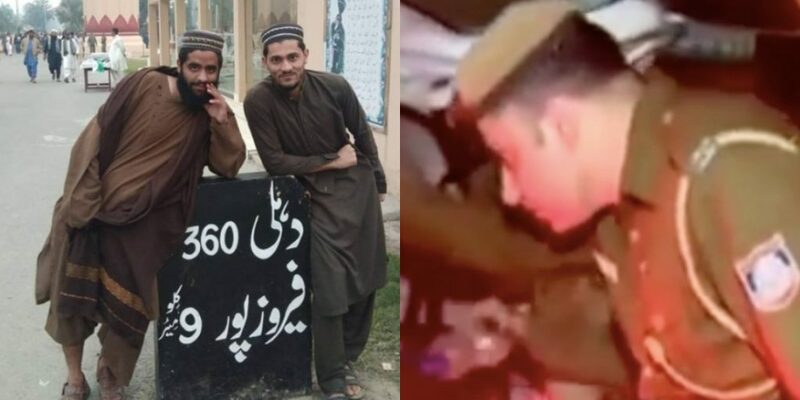 A Viral Picture Of Two Pakistani Students Has Triggered Indian Govt And Media And Everything Went Wrong! The seeds of rivalry have been sown between India and Pakistan soon after their independence in 1947. The two states have acrimonious relations due to the Kashmir issue. The neighboring states had fought 4 major wars along with the ongoing asymmetrical warfare. The Indian media and security agencies have released the posters of two innocents Pakistanis, portraying them as extremists, and had put the New Delhi on high alert. Reportedly, the dumb Indian media campaign said that two guys are going to assault New Delhi. 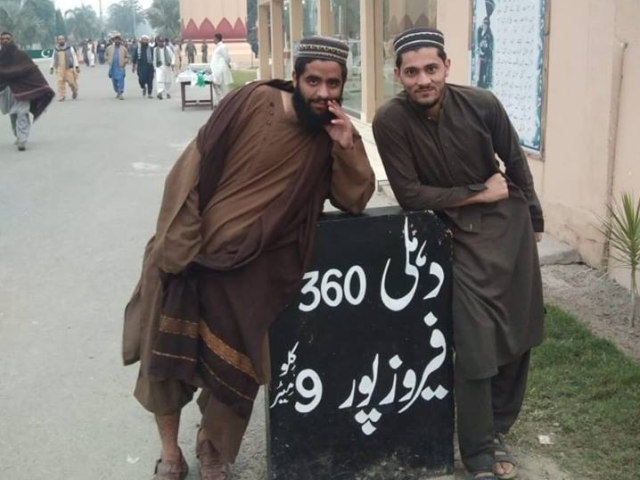 In reality, the two Pakistani guys are students of Jamiah Islamia Imdadia, Faisalabad, who went to Pak India border for a short visit and took pictures. The picture was taken alongside a milestone that is showing the distance to New Delhi from Ferozepur. The two guys just casually posing! The two Pakistanis were on Raiwand pilgrimage and went to a short visit on the border where they took a picture and uploaded it on social media. The picture went viral and Indian media coupled with their security agency started assuming them a threat. However, the students, Nadeem and Tayyab in a press conference at Faisalabad said that they went to the border to see a parade and after watching the parade they took a picture alongside the stone, portraying distance. The students asserted, “We are present in Pakistan and never visited India. The photos were shot while visiting Lahore during Raiwind Ijtema on November 11 and the pictures were shared on social media by one of us.” The Head of Jamia Islamia has said that our students have no connection with any extremist outfit neither they went to India nor they have any connection with it. The students criticized Indian media and authorities for portraying them as arsonists. They further demanded from the world powers to take notice against India for their childish mistake. Besides, New Delhi police had conducted a raid and arrested many after they mistakenly assumed a threat from innocent students. It is not the first time that Indian media and their security agencies have shown sheer stupidity in their reporting. In July 2018, India media reported that they have apprehended a spy pigeon form Pakistan – really? 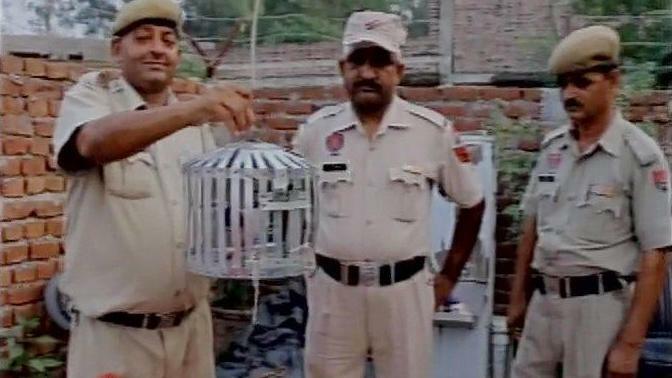 Similarly, in May 2016, Indian media reported that the border forces caught a pigeon with the message written in Urdu. Do You now how biased is indian madia to create propaganda against Pakistan? Today they played breaking about two Pakistani students labelling them as terrorist entered in India. Even indian police published their posters. All drama exposed when they made press conference. In a nutshell, if India wants to prosper its relations with Pakistan then its government should restrain its media and agencies. Pakistan foreign office must seek an answer to the accusation that India has made upon the innocent students.